As we've seen previously, with Levi Hopkins' art, there's some outstanding work being done at ArenaNet on Guild Wars 2. An impression that's only reinforced looking at the contributions of Kekai Kotaki. Serving as Art Lead on the project, Kotaki - who not only has a fine last name but also worked on the first Guild Wars - has come up with some breathtaking stuff, which is a must-see for not just fans of the game, but of fantasy art in general. You can see more of his work at his personal site, here. 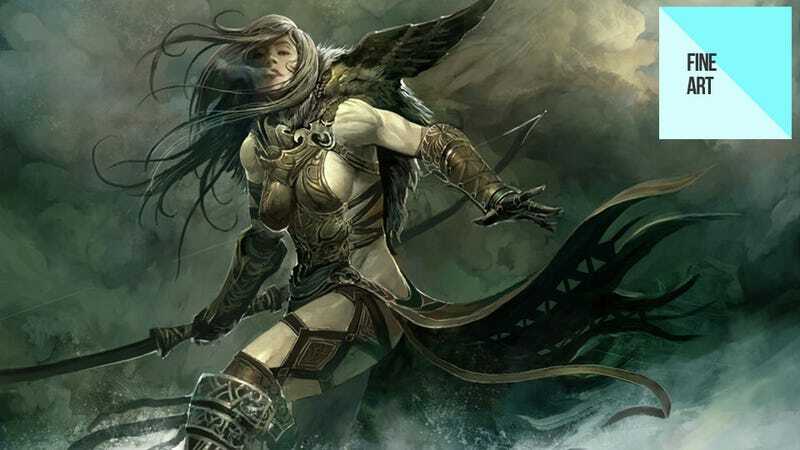 Guild Wars 2 is a long-in-development MMO for the PC that will hopefully be out next year.